The 300ml Aroma Essential Oil Diffuser, Frosted Glass Exterior from URPOWER is a great combination of technology and design. This latest product from URPOWER combines wood grain and frosted glass design features to create an aesthetically beautiful unit that not only looks great, but performs powerfully to let you reap the full benefits of your essential oils. If you love the wood-grain look for the Zen-like atmosphere it lends your home, but also want a diffuser that emits beautiful light, then the 300ml Aroma Essential Oil Diffuser, Frosted Glass from URPOWER is one of your best bets. You can’t beat the price for such beautiful design and great functionality. You’ll thoroughly enjoy the play of colors, thanks to the diffuser’s frosted glass upper half. It also has a beautiful spout at the center where the mist comes out for extra aesthetic appeal. The lights are programmable, so you set the diffuser to your favorite color, let it cycle or turn it off altogether. The same goes for the diffuser’s misting function. You can set it on intermittent misting, which last up to 10 hours, or opt for continuous misting, which goes for up to 6 hours. You can also just turn the lights on without the mist, and vice versa. The 300ml Aroma Essential Oil Diffuser, Frosted Glass from URPOWER offers a host of health benefits. While it diffuses essential oils throughout the room, you’ll reap the therapeutic benefits. The unit also humidifies the air, preventing complications from a dry environment, like chapped skin or lips. You’ll also breathe cleaner air, thanks to its air purifier function. Whether it’s placed right beside you or situated far away, you won’t be disturbed when the diffuser is turned on due to its whisper-quiet technology. When you have to leave the house but still want the diffuser to run, you can rest assured that it will automatically shut off when the water runs dry. Furthermore, opening the diffuser to access the water tank is quite easy—there’s not much science there, thank goodness. Surprisingly, the 300ml Aroma Essential Oil Diffuser, Frosted Glass from URPOWER works better as a humidifier than as a diffuser. 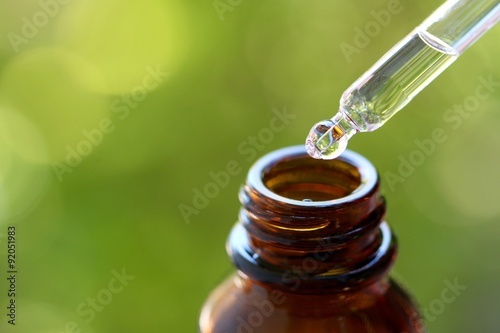 If you want the full benefits of aromatherapy, you might want to opt for a unit that works purely as an essential oil diffuser, rather than a multi-use product. Although this is a quiet machine that won’t disturb you, it does make a beeping sound before it turns off. The beeping sound isn’t loud enough to disturb your sleep, but it might bother if you if you want a completely silent diffuser. Several essential oil diffuser companies take aesthetics seriously. The VicTsing 300ml Aroma Essential Oil Diffuser, Wood Grain is one such product that can go up to bat with the URPOWER in terms of design. They both have the same water level capacity, but the VicTsing does not have the air purifying abilities of the URPOWER. However, if you want a diffuser with a more subtle light show, then you’ll probably prefer the VicTsing model. The Pilgrim Collection Teo Aroma Diffuser has also responded to consumers’ calls for beautiful design paired with optimal function. Unlike other diffusers, this model doesn’t have changing mood lights, but rather a fixed warm light function. It comes equipped with a “breathing” setting, which is quite therapeutic, since the light dims and brightens at a relaxing pace. However, it only has a 110-ml water tank capacity, which gives you just a few hours of beneficial aromatherapy. Like the VicTsing and the URPOWER, the Pilgrim Collection can also humidify the air. Ultimately, the product you should select really depends on your preferences and budget. How long do you want the diffuser to run? Do you want a model that not only diffuses essential oils, but also acts as an air purifier and humidifier? Do you want a simple-looking design, or a more sophisticated look? Do you want one that’s easy to open, fill and operate? Once you answer these questions, you’ll be able to settle on the essential oil diffuser that’s best for you. Overall, this product offers great looks and thoughtful multifunction capabilities. You get your money’s worth and more with the 300ml Aroma Essential Oil Diffuser, Frosted Glass Exterior by URPOWER.